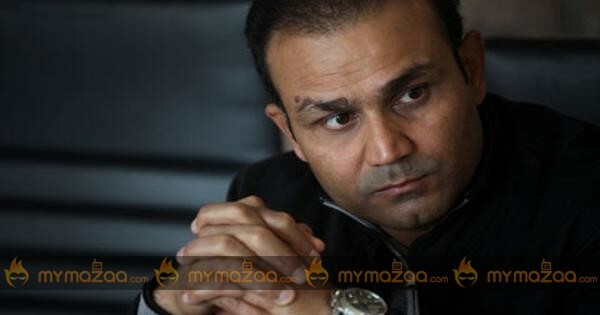 Former India opener Virender Sehwag, currently hosting the “Viru Ke Funde” web series, says Bollywood and cricket have no connection and are not dependent on each other. Bollywood and cricket stars are often seen hanging out together. In fact, some of the actors, including superstar Shah Rukh Khan even co-own cricket teams. So are Bollywood and cricket interlinked? However, there are cricketers like Navjot Singh Siddhu, who have chosen the entertainment industry after performing on the cricket field. Also, a lot of cricketers like Sreesanth, Harbhajan Singh, Irfan Pathan, Yuvraj Singh have featured on TV shows and films. What lures sportsmen to the entertainment world? “Cricketers have a good fan following. If you look at all the cricketers who have played for India, they have fans in millions on social media. If you are making something with a cricketer then you are sure that people will watch it. The TRP will go up which is why cricketers are being roped in for TV shows, films or any other social media platform,” the 38-year-old said. “If you do a TV show, you have to have at least a 30-minute or a one-hour show. Then you have to depend on a script as well, here (‘Viru Ke Funde’) I am not doing that,” he added. He is seen giving his opinions and “sharing my experiences with my friends through the series”. “I am chatting with my friends on ‘Viru Ke Funde’. They all play cricket. They have questions for me and they think that I am a bigger player so, I can give better answers. But they don’t understand that I am human being as well and I am facing the same problem. I don’t have answers to everything. What I give them is my own off field or on field stories,” he added.